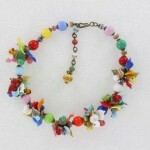 View Cart “Wonderful Faux Turquoise Langani Necklace” has been added to your cart. SKU: NK1794. 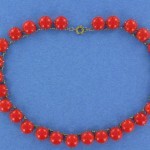 Category: Juliana, Necklaces. Absolutely stunning collar necklace. I believe it to be DeLizza and Elster (aka Juliana). 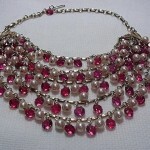 This is elegant, rich-looking necklace! 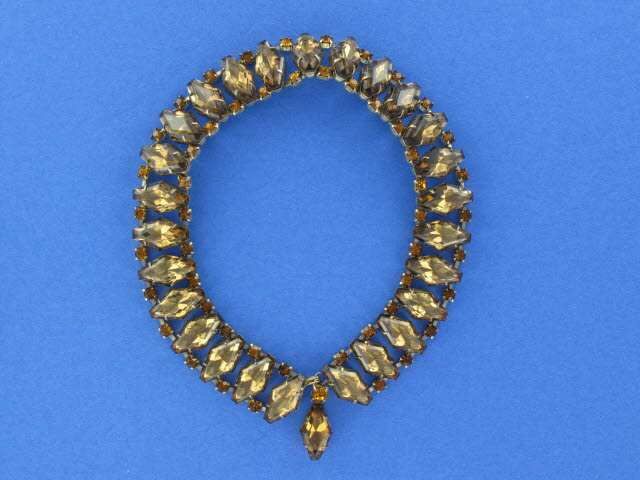 Gold tone setting with large topaz six-sided (hexagon) rhinestones adorned by smaller amber chatons. The rich topaz stones have fabulous color and depth. 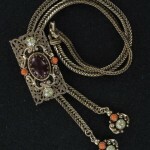 The necklace fastens in the front with a hook and has a pendant of one large stone that can be detached. 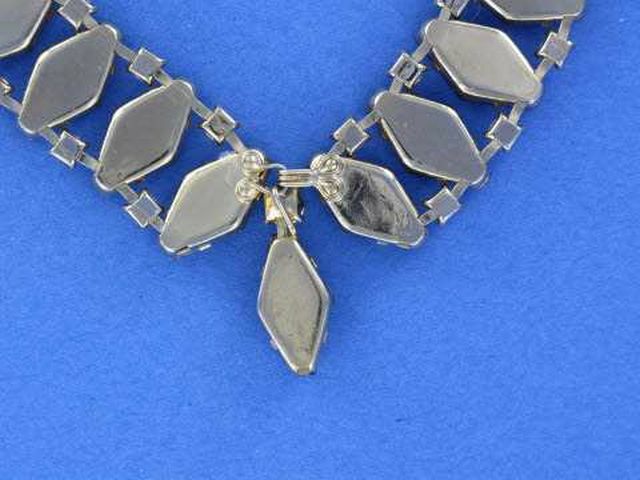 The necklace measures 15 3/4″ in length and is 7/8″ wide. Excellent condition.